At the Newberry this spring, I look forward to five sessions of lively discussion as we read and analyze Dead Souls (1842), Gogol’s unfinished, comic masterpiece about a con man and his adventures in provincial Russia. The novel had a tremendous impact on the subsequent development of Russian literature, and during the seminar, we will explore different readings of it: as social commentary on a society founded on serfdom; as a brilliant phantasmagoria; a verbal performance; and as a surrealistic fantasy that anticipated 20th century experimental prose. At each meeting I will present biographical, historical, and critical information related to the novel and our author, and short episodes (not longer than 10 – 15 minutes each) will be shown from the Russian film adaptation of Dead Souls (Shveitser, 1984) with English subtitles. At the center of Dead Souls, the shrewd scoundrel Chichikov sets out on a journey to buy dead serfs, or souls, so that he can present them as living serfs as collateral against a bank loan, settle in a far province, and establish himself as a respectable country gentleman. The novel is organized and dominated by the road. It begins with an arrival and ends with a departure; its concluding lines are a panegyric to a road. We will see that the road in Dead Souls involves all the varieties of space: from boundlessness to fragmentation to domesticity, providing several layers of the narrative. We will examine the creative process of Gogol’s work on Dead Souls. The world that unfolds before us looks on first encounter to be solid and stable. Yet it is both familiar and strange, and Gogol often seeks to destabilize it. We will explore the ways in which disruption and disorder become the source of a peculiar vitality of Dead Souls. The plot is generated by the chance disruptions of Chichikov’s plan, who is most free when he is mobile and changeable. What time of the year it could be when the peasant men sit in sheepskin coats and comment on a snowstorm, while peasant women are up to their knees in the pond? Together we will address important questions: How should we understand and interpret Dead Souls? Why did Gogol consider Dead Souls a poem? Is it a parable? What is the nature of Gogol’s artistry, and how does it influence other writers? Is the novel totally irrational or deeply moralistic? Is it a merciless and hilarious satire of Russian society, or criticism of serfdom? Is it an indirect exploration of religious ideas? Or is Dead Souls primarily a verbal innovation and a joke? Why was Gogol unable to complete Part II, on which he had worked for a decade? 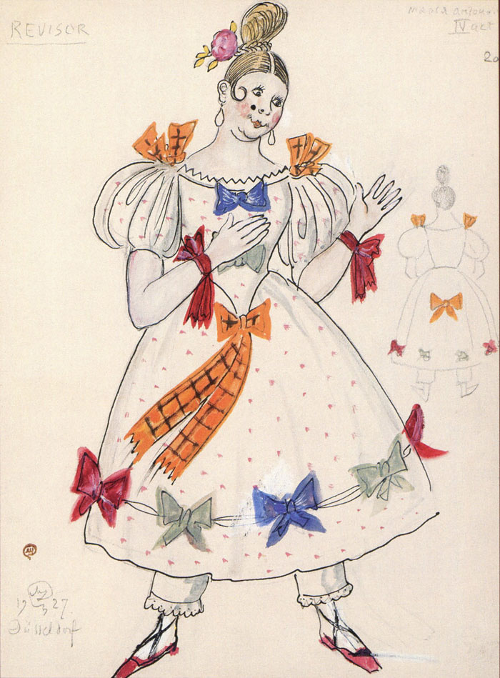 Special attention will be drawn to the importance of the visual arts in Gogol’s Dead Souls. Gogol thinks in images, and Dead Souls attracted the attention of various artists, including Marc Chagall. We will explore Chagall’s distorted, diagonal scenes with his characteristic top angle view, which evokes a sense of movement and instability, against Gogol’s elusive verbal artistry. Translation matters, and we will read several episodes in two or more different translations. Gogol’s magnificent humor and bizarre and original wit shine through every phrase, and we will examine how different translators reproduce the funniness of the book. NOTE: I will provide all supplemental handouts for the participants through the Canvas LMS classroom, specially developed and moderated for this seminar. Access to all the handouts and a wealth of optional readings and online resources should be easy to navigate even for those with very limited computer skills, and help with using the online classroom will be provided for everyone who requests it. 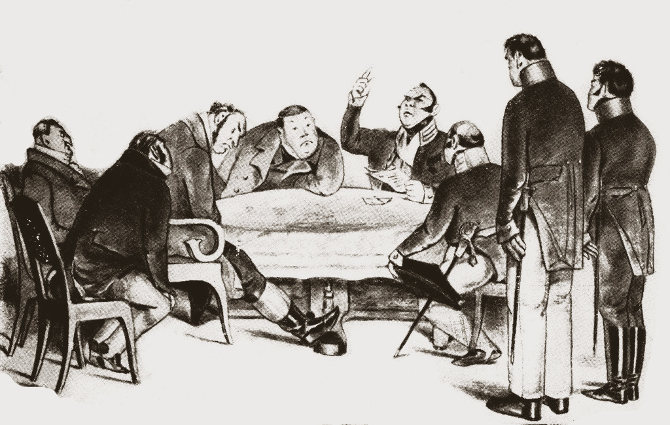 This summer at the Newberry we will read and discuss three comedies of Nikolai Gogol (1809 – 1852), The Gamblers, Marriage, and The Government Inspector. Gogol is a supreme playwright whose comedies – the funniest in the Russian language – were to have a tremendous impact on the subsequent development of Russian theater. One of the most gifted and enigmatic great writers, at various times he has been read as a realist, a symbolist, a fantasist, a comedian, a satirist, and a tragedian. The force and originality of his imagination influenced many generations of writers. The universality of his vision and his ability to depict a society dominated by petty bureaucracy and base corruption and transmute what he saw and understood into language of the utmost originality, combining the fantastic, the satiric, the realistic, and the grotesque with the romantic and the tragic, have created for him a permanent place in world literature. Gogol’s three completed plays are as important as his novel and short stories and are as carefully crafted. Vladimir Nabokov regards The Government Inspector as the greatest play in the Russian language: “Gogol’s play is poetry in action, and by poetry, I mean the mysteries of the irrational as perceived through rational words.” We will examine the Russian theater traditions before Gogol: the theater was neoclassical in manner, aristocratic in temper, and pedagogical in purpose. Gogol was an adventurous innovator: he purged his comedies of the customary love story. The Gamblers has no love scenes at all, and in Marriage and The Government Inspector the lovers fail to get together. Gogol’s greatest innovation for his time was to write a comedy where all characters are ridiculous, resulting in a comic universe with no stable center of conventional dichotomy of virtue and vice, reasonableness and unreasonableness. During the seminar, we will explore the history of productions of Gogol’s plays in Russia, especially The Government Inspector, Gogol’s masterpiece and the central focus of our study. The productions range from realistic to impressionistic to symbolist to futurist. Watching episodes from different productions, we will be able to experience two Gogols: the realist ethnographer and the fantastic, grotesque poet. The seminar will include both presentations by the leader and group discussion. We will focus on close textual analysis of Gogol’s plays over a period of four meetings, supplemented by biographical, historical, and critical information related to the writings at each meeting. I will draw upon my Russian background to provide participants with a unique chance to appreciate some of the pleasures of the original Russian versions of Gogol’s comedies that are inevitably lost in translation, including the meaning of the characters’ names. Translation matters, and we will read several scenes in two or more different translations. Gogol’s magnificent humor and bizarre and original wit shine through every phrase, and we will examine how different translators reproduce the funniness of the plays. This fall at the Newberry, I hope you will join us to read and discuss the fiction of Nikolai Gogol (1809 – 1852), a supreme master whose fiction was to have a tremendous impact on the subsequent development of Russian literature. We will focus on close textual analysis of Gogol’s Ukrainian and Petersburg tales over a period of nine meetings, supplemented by biographical, historical, and critical information related to the writings. During the sessions, several short episodes (not longer than 10 – 15 minutes each) will be shown from the movies Evenings on a Farm near Dikanka (Russia, 1961), Viy (Russia, 1967 and 2014), and The Overcoat (Russia, 1926, 1959, and parts of Yuri Norshteyn’s unfinished, animated version begun in 1981). We will begin with short tales from Gogol’s two early collections of Ukrainian tales Evenings on a Farm near Dikanka (Parts I and II) and Mirgorod (“Viy”, “Old World Landowners”, and “The Story of How Ivan Ivanovich Quarreled with Ivan Nikifirovich”). We will continue with his Petersburg masterpieces “Nevsky Prospect”, “The Diary of a Madman”, “The Nose”, “The Portrait”, and “The Overcoat”. Together we will address important questions: Why do we read Gogol? How should we understand and interpret his fiction? What is the nature of his art, and how does it influence other writers? Are Gogol’s tales totally irrational or deeply moralistic? We will see that the achievements of Gogol are more than national. The universality of his vision and his ability to depict a society dominated by petty bureaucracy and base corruption and to transmute what he saw and understood into language of the utmost originality combining the fantastic, the satiric, the realistic, and the grotesque with the romantic and the tragic, have created for him a permanent place in world literature. Drawing upon my Russian background, I hope to give participants an appreciation of some of the pleasures of the original Russian versions of the works of Gogol that are inevitably lost in any translation. Among the most distinctive components of Gogol’s art, we will take a close look at the representation of space and time, the use of language, the techniques of narration, and the modes of characterization. Special attention will be given to the importance of the visual arts in Gogol’s Ukrainian and Petersburg tales. Gogol thinks in images and incorporates Orthodox iconography, revealing its hostility to the literary narrative and the demonic dynamism of the 19th century Ukraine and St. Petersburg. The theme of material animation, where noses and overcoats take on flesh and stroll through the pages of literary Petersburg, will be examined as a marked and well-developed element of Gogol’s narratives and of a larger set of Petersburg texts. 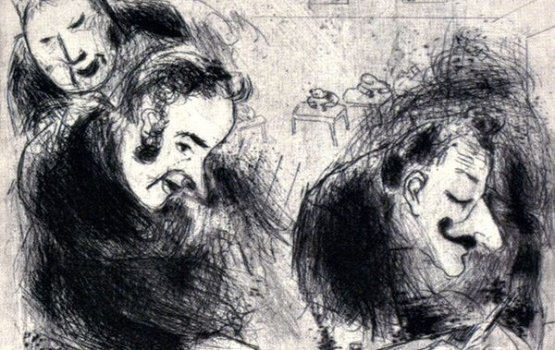 We will also examine how Gogol’s influential but elusive fiction led to a broad range of re-workings and re-imaginings in fiction, film, and visual arts. In June 2018 at the Newberry we will focus on the interrelation between St. Petersburg and two great works by Alexander Pushkin: the long poem “The Bronze Horseman” and the short novel “The Queen of Spades.” Alexander Pushkin (1799 – 1837) is the most famous Russian poet, and his fiction has had a tremendous impact on the subsequent development of the Russian novel. We will engage in close textual analysis of the two works while exploring the history and geography of Pushkin’s St. Petersburg from the time it was founded in 1703 through the 1830s. Our discussions will be supplemented by biographical, historical, and critical information related to the texts that I will introduce at each meeting. During the sessions, several short episodes (not longer than 10 – 15 minutes each) will be shown from a variety of film adaptations of “The Queen of Spades” and “The Bronze Horseman”. The seminar will include presentations and group discussion during four, two-hour sessions with the opportunity for additional online discussion. The course will explore the literary and cultural history of St. Petersburg and its mythology and urban geography as represented in Pushkin’s texts. Participants will be introduced to the concept of the ‘city-text’ and the basics of urban semiotics. Approached from diverse perspectives – as myth; text; historical urban metropolis; a metaphor for Russia; an imperial city; the epitome of state bureaucracy; a ‘window onto Europe;’ and the cultural capital – St. Petersburg will also be contrasted to Moscow to examine the fundamental duality that forms the Russian national identity. Native views on St. Petersburg will be juxtaposed with the foreign perception. Built at the edge of an enormous empire by Peter the Great at the start of the 18th century, Petersburg was designed to display the emperor’s power to his subjects and to the world. Called “The Venice of the North,” its straight, wide streets, reflecting in the canals, are lined with beautiful pastel-colored palaces built by nobles whom Peter forced to move there. Alexander Pushkin was the first Russian writer to create a world-famous literary tradition, the “Petersburg myth,” which was further developed by Gogol, Dostoevsky, Bely, Akhmatova, and Brodsky. Alexander Pushkin, the greatest poet in Russia and creator of the modern Russian language and literary tradition, spent most of his life in St. Petersburg, which becomes a literary character in his poetry and fiction. The simplicity and natural straightforward grace of Pushkin’s poetry and prose perfectly expresses the Russian mood and succeeds in setting the tone for future generations of Russian writers. As we read Pushkin’s two masterpieces we will address important questions: Why do we read Pushkin? Does Pushkin’s prose stem out of poetry? What is the nature of his art and how does it influence other writers? How did Pushkin’s vision of St. Petersburg influence future generations of writers and inhabitants? “The Bronze Horseman” describes the building of St. Petersburg in 1703 and the sad fate of one of its poorest citizens, Yevgeny, whose dreams of domestic happiness are shattered by the real-life flood of 1824. Yevgeny’s tragedy is set in a broad context, conveying the political need for a ruler to build such a city and the indomitable power of nature. A triumph of detached narration, “The Queen of Spades” stands at the peak of Pushkin’s achievement as a prose writer. Pushkin presents St. Petersburg as an irrational agent that drives the main character Hermann to madness, as it also does Yevgeny in “The Bronze Horseman”. Pushkin’s vision of St. Petersburg as expressed in these two gems reflects the dynamic and ambiguous image of the city as a cultural space in which various cultural imprints co-exist, with the classical solemn image still very much evolving. Drawing upon my Russian background, I hope to provide participants with a unique chance to appreciate some of the pleasures of the original Russian versions of Pushkin’s works that are inevitably lost in translation. I will read some of Pushkin’s most famous poems in Russian, and the participants will have a chance to read and compare several translations of these poems as well as to listen to them as songs, with music by Tchaikovsky, Rachmaninoff, and Glinka. This seminar continues a series of two seminars on Chekhov’s short stories at the Newberry from the summer of 2017. (Please join us for part two whether or not you came for part one!) We will read more short stories by Anton Chekhov (1860 – 1904), a master whose technical innovations in short fiction were to profoundly influence the subsequent development of Western literature. We will focus on close textual analysis of Chekhov’s short stories over a period of six meetings, supplemented by biographical, historical, and critical information related to the writings. During the sessions, several short episodes (not longer than 10 – 15 minutes each) will be shown from the movies A Bad, Good Man (Russia, 1988), The Black Monk (Russia, 1978), and The Duel (USA, 2010). We will look closely at Chekhov’s work as an organic structure, and at the interaction of his background, his experience of life, and his ideas with the poetics of his stories – their themes, imagery, construction and philosophy, and thus show the evolution of the artist. In order to follow Chekhov’s evolution as a short story writer, we will read and discuss a representative selection of some of his early humorous stories, starting with “A Chameleon” and “Fat and Thin,” and continuing to his mature comic and tragic stories, such as “The Steppe,” “The Duel,” “Rothschild’s Fiddle,” “The Black Monk,” and “In the Ravine,” paying special attention to structure, formal innovation, language choices, intonation, musicality, ambiguity, disinclination to preach or prescribe, and open-ended conclusions. Anton Chekhov, with his understatement and irony, appeals more directly than any other Russian writer to the present-day reader, and he has deeply influenced the English language short story from Katherine Mansfield to John Cheever to Alice Munro to Francine Prose. Of all Russian writers, Chekhov may seem the most accessible. However, he is the subtlest of Russian writers – one who appears capable of holding two opposite views and having two opposite intentions simultaneously, intent on posing questions instead of answering them. Together we will address important questions: Why do we read Chekhov’s stories? How should we understand and interpret his fiction? Where do the stories take us, and where do we go from there? I will draw upon my Russian background to provide participants with a unique chance to appreciate some of the pleasures of the original Russian versions of the works of Chekhov that are inevitably lost in any translation. One of the goals of the seminar will be to resist the temptation to ignore the culture-specific dimension of Chekhov’s stories. I will introduce additional readings to deepen the participants’ understanding of the Russian cultural context in which Chekhov’s stories unfold. We will see, too, that the achievements of Chekhov extend beyond his own nation: the universality of his vision has created for him a permanent place in world literature. Immediately after Chekhov’s death, Tolstoy said that Chekhov’s works and characters are close not only to every Russian but to people everywhere, and that this universal quality is the most important thing about him. Among the most distinctive components of Chekhov’s art that we will examine are the representation of space and time, the use of language, the techniques of narration, and the modes of characterization. I will introduce the participants to some of the letters of Anton Chekhov as well as the particularities of his trip to Sakhalin that provide a context for his literary, social, and scientific interests and views, and establish a coherent intellectual and emotional portrait of the writer. Translation matters, and we will read several stories in two or more different translations. Chekhov’s text is subtle, and it takes place at the lexical, grammatical, and syntactical levels, for which English has no direct analogues (verbal aspect, lexical repetitions, restraint in vocabulary, and use of ellipsis). Not infrequently, where the translations differ, we can deduce that Chekhov’s Russian allows different interpretations. Far from being problematic, these differences become a resource. Isaac Babel (1894 – 1940) was the first Soviet writer who became world-famous and achieved a wide-ranging reputation as a grand master of the short story. Babel’s legacy, written mostly between 1921 and 1926, is quite compact: three cycles of short stories, two plays, several film scripts, and several pieces of short fiction and journalistic articles. His most famous work, the collection of short stories Red Cavalry, shows the Russo-Polish War of 1920 through the eyes of a Russian-Jewish intellectual working as war correspondent with General Budyonny’s Red Cossack Cavalry, as Babel himself did. An instant and universal success, these autobiographical stories represent both the innovative and daring technical experiment and the tension between a passionate commitment to the revolutionary dreams and the brutality and baseness of the means required for their realization. 2017 is the 100th anniversary of the Russian Revolution, and Isaac Babel’s stories will help us understand the historical background, conflict, heroics, and the violence – which Babel admired for its elemental spirit. We will focus on close textual analysis of Babel’s stories, supplemented by biographical, historical, and critical information related to the stories, Odessa, and the Russian Revolution. One session will be devoted to viewing David Nowack’s award-winning documentary Finding Babel (2015), which will connect the main themes and ideas discussed throughout the seminar. During the other sessions, several short episodes (not longer than 10 – 15 minutes each) will be shown from several Russian movies based on Babel’s stories: Benya Krik directed by Vladimir Vilner (screenplay by Isaac Babel) in 1926; The Stable Owner and the King directed by Vladimir Alenikov in 1989; and The Art of Living in Odessa directed by Georgy Yungvald-Khilkevich in 1989. Odessa Stories were written and published simultaneously with Red Cavalry. Odessa Stories are united by the protagonists, the narrator, and of course the setting – Odessa – the southern commercial port on the Black Sea and the most cosmopolitan city in the Russian empire. The stories present a larger than life, subtly humorous, fable-like picture of the city’s Jewish underworld. During the seminar, we will compare Babel’s film script called Benya Krik, based on the story cycle, with the stories. In Odessa Stories, the action takes place in 1905 – 1907, and the king of the Odessa gangsters reigns supreme, while the film includes the 1917 Revolution and the Civil War. Portraying the Red Cavalry soldiers, as well as the Jewish gangsters of Odessa, Babel expresses both admiration and horror through the lens of his own intellectual irony. Babel’s fiction captures the elemental forces, fluidity and instability of existence as experienced by most in any age. We will address important questions: Was Babel a Soviet writer, a Russian writer, or a Jewish writer? Why are Babel’s stories all of a piece, despite their modernistic fragmentary style and the mixture of pathos, irony, and baseness? How does he combine romanticism, humanism, sharp naturalism, and eroticism? What could we learn about the Russian Revolution from his stories? Why did he stop writing in the 1930s, calling himself a practitioner of “the genre of literary silence,” and why did he never finish his books about the Cheka or the collectivization? Why would Babel’s famous and critically acclaimed stories become an item in the writer’s indictment as “an enemy of the people” when he was arrested, tortured, and executed in 1939? The documentary Finding Babel follows Andrei Malaev-Babel, a Florida theater professor, as he retraces the steps of his grandfather visiting Paris, western Ukraine, Odessa, Paris, and Moscow. In a voice-over, Liev Schreiber reads excerpts from Babel’s stories and diaries accompanied by montages and animation. Another fascinating figure in the documentary is Babel’s widow, Antonina Pirozhkova, who died in 2010 at age 102 and had worked as an engineer designing subway stations in Moscow. Andrei’s journey to uncover the hidden life of his grandfather will give us a deeper understanding of the turbulent history and impact of the Russian Revolution, as well as the enigma of Babel’s stories. We are lucky to read Isaac Babel’s stories in the new translation by Boris Dralyuk, a professor of Russian literature and a translator, who – like Isaac Babel – was born in Odessa. In one interview, Boris Dralyuk explains that his “ears were full of Babelian cadences and turns of phrase, both in Odessa and in the Russian-Jewish community in Los Angeles.” His translation tends towards visual precision and lyricism and emphasizes the tone of the stories, especially in the dialogue. We will compare Dralyuk’s translation with earlier translations by Walter Morrison and Peter Constantine, and will preview another new translation by Val Vinokur. This fall, we encourage everyone who signs up for the seminar to continue the discussion beyond the classroom on our online forum. There will be a question and answer thread and a discussion thread to start. Instructions for how to participate will be provided shortly before the first class. Anton Chekhov (1860 – 1904), with his understatement and irony, appeals more directly than any other Russian writer to the present-day reader, and his technical innovations in short fiction profoundly influenced the art of the short story in Western literature. During our sessions, we will look closely at Chekhov’s work as an organic structure, at the interaction of his background, his experience of life, and his ideas with the poetics of his stories – their themes, imagery, construction, and philosophy, and thus show the evolution of the artist. In order to follow Chekhov’s evolution as a short story writer, we will read and discuss a representative selection of some of his principal short stories, such as “Anna on the Neck,” “Ward No. 6,” “The Teacher of Literature,” and “The Lady with the Little Dog,” paying special attention to structure, formal innovation, language choices, intonation, musicality, ambiguity, disinclination to preach or prescribe, and open-ended conclusions. We will also watch excerpts (not longer than 10 – 15 minutes each) from the movies Anyuta (Russia, 1982), Kashtanka (Russia, 1952, animation), Ward No. 6 (Russia, 2009), and The Lady with the Little Dog (Russia, 1960). I will introduce some of the letters of Anton Chekhov that provide a context for his literary, social, and scientific interests and views, and establish a coherent intellectual and emotional portrait of the writer. Drawing upon my Russian background, I hope to share with you some of the pleasures of the original Russian versions of the works of Chekhov that are inevitably lost in any translation. One of the goals of the seminar will be to resist the temptation to ignore the culture-specific dimension of Chekhov’s stories. I will introduce additional readings to deepen the understanding of the Russian cultural context in which Chekhov’s stories unfold: on soul (dusha), painful longing (toska), banality (poshlost), acceptance of suffering (smirenie), and fate (sudba). This spring at the Newberry, we will read and discuss three works by Leo Tolstoy (1828 – 1910) which are recognized as his best, shorter, spiritual writings: The Death of Ivan Ilych (1882-1886), Confession (1882), and Master and Man (1895). We will read both works in a new outstanding translation by Peter Carson, one of the finest translators of 19th century Russian literature. While Peter Carson was working on the translation, he was diagnosed with a terminal illness, and the final manuscript was delivered to the publisher the day before he died. We will focus on close textual analysis of Tolstoy’s works over a period of four meetings, supplemented by biographical, historical, and critical information related to the author and the works we read. During the last session, several short episodes (not longer than 10-15 minutes each) will be shown from movie adaptations: A Simple Life filmed by Alexander Kaidanovsky in 1985; Ivans Xtc directed by Bernard Rose in 2000; Ikiru (To Live) directed by Akira Kurosawa in 1952; and Boxing Day directed by Bernard Rose in 2012. Tolstoy wrote The Death of Ivan Ilych and Confession after he completed Anna Karenina in 1877. During this time, Tolstoy underwent a shattering moral and spiritual crisis, which brought him to the verge of suicide. The Death of Ivan Ilych is the story of the life and last months of one ordinary man, while Confession is an autobiographical account of Tolstoy’s spiritual journey and the chronicle of his doubts and merciless self-examination. Although Tolstoy was in his fifties when he wrote these works, he had long been preoccupied with human mortality as a philosophical dilemma. Both works go beyond the horrors of death to reflect on the questions that the inevitability of death poses for understanding the meaning of life: If we must die, what is the point of living? What is a good life? Although there is no such thing as a typical Tolstoy story, his short works share traits such as his superb realization and his ever-restless philosophical inquiry, a combination that produced fiction of an intensity that surprises even after repeated readings. Tolstoy’s work eschews intentional ambiguities and withheld information. The development of Tolstoy’s story is comparable to peeling the layers off an onion, where the onion is the world and the leaves are the deceptions of civilization. Even in Tolstoy’s later works the center remains: the last leaf reveals the beauty and goodness of life. Master and Man, a later, long story, is the perfect type of Tolstoy’s short fiction. It is a journey of discovery and a parable of the way to live and to die. The story is made from Tolstoy’s inner struggle to find a way to love and his continuing discovery of his own mission, which for him is not his teaching, his family, or his art, but the inner call to love his neighbor as himself. Film adaptations make efforts to restructure the main literary concepts and interpret them at the same time. Cinema keeps turning to literature, and during the last session we will explore different, successful adaptations of The Death of Ivan Ilych and Master and Man. I hope to provide participants with a unique chance to appreciate some of the pleasures of the original Russian versions of Tolstoy’s works that are inevitably lost in any translation. Among the most distinctive components of Tolstoy’s realism that we will examine are the representation of space and time, the use of language, the techniques of narration, the use of physical details, and the modes of characterization. I will provide comparisons among the translations by Constance Garnett, Louise and Aylmer Maude, Pevear-Volokhonsky, and Peter Carson, and their relations with the Russian text. We will also read and discuss excerpts from “Sevastopol in May” (1854), and later theological and inspirational treatises “What I Believe” (1884), “On Life” (1885), “What Is to Be Done?” (1882-1886), and “Religion and Morality” (1893). These works provide a context for Tolstoy’s exploration of the theme of death and dying during his literary career and exemplify the philosophical issues that occupied this genius throughout his long life. Please join me at the Newberry this fall as we read and discuss Dostoevsky’s sunset masterpiece, The Karamazov Brothers. We will read The Karamazov Brothers as a murder mystery, a family novel, a tangle of love triangles, a philosophical discourse, a political and spiritual quest, a fairy tale, and an astonishing chronicle of suffering and redemption. Dostoevsky himself thought that the main question of the novel was the need for God and immortality, but many read the novel in a secular mode. When Dostoevsky’s The Karamazov Brothers first appeared, its readers experienced the novel as a call to personal, social, and political renewal. One reader wrote: “After the Karamazovs (and while reading it), I looked around in horror that everything went on as before, that the world did not shift on its axis…” As we read the novel today, we will address important questions. What is family? How does shame drive our actions and our responses to others? What is evil? Why do the innocent suffer? Where are the limits of each person’s moral responsibility for the problems of the world? What is the relationship between law and justice? Despite these imposing questions, The Karamazov Brothers is engrossing and surprisingly entertaining: Dostoevsky was an artist before all else. As important as ideas and ideologies are to him, the depiction of ambiguities of the human personality is more so. We will read The Karamazov Brothers as Dostoevsky’s longest serial novel, which appeared in 16 installments in The Russian Herald over a period of almost two years, January 1879 to November 1880. We will analyze the genesis of The Karamazov Brothers through the prism of this demanding serialization: Dostoevsky’s need for ongoing research into some topics and his personal problems forced him to miss a monthly installment no less than 11 times, and several times he changed his plans as the novel unfolded. Examining the responses of the first readers and the events at the time in comparison with our own assessments, I hope we will all gain a deeper understanding of how a novel that was written to answer the problems of Dostoevsky’s time and nation continues to be read with urgency and remains alive in the face of our present-day worries, paradoxes, and joys. It deals with some of our deepest anxieties: the feeling of aggression against one’s own family; rebellion against established authority; and experience of sexual desire. It speaks to our experience of isolation and appeals to forces that draw human beings joyfully together. The novel does not provide answers through logical argumentation: it is a complex literary form. We will examine the polyphonic quality of Dostoevsky’s art: the presence in his texts of persistent voices generated by the narrator and the author; frequent inner dialogue; a stream of literary quotations; and allusions. We will analyze excerpts from Mikhail Bakhtin’s famous “Problems of Dostoevsky’s Poetics,” one of the most important theories of the novel in the twentieth century. Dostoevsky allows his characters the freedom to argue their positions with their full voices, and sometimes several voices at once. The reader needs to synthesize the voices, a demanding task that gives a tremendous power to the reader. Just as the Grand Inquisitor argues that Christ gives man an intolerable amount of freedom, so the novel places its readers in a similar predicament. Drawing upon my Russian background, I hope to convey some of the pleasures of the original Russian version of The Karamazov Brothers that are inevitably lost in translation. We will look closely, for example, at the meaning of the Russian word “nadryv,” which is literally “a rupture that starts from a strain (as by lifting too heavy a load)” and means here “an emotional or mental rupture or laceration.” I will share material from Dostoevsky’s notebooks for The Karamazov Brothers, which will provide a coherent account of the novel’s complex evolution. (I conducted two in-depth, month-long studies of Dostoevsky in Petersburg and Staraya Russa, Russia, during the summers of 2007 and 2013, and I am excited to share relevant findings from these studies during our seminar.) During the sessions, several short episodes (not longer than 10 – 15 minutes each) will be shown from the Russian movie adaptation of The Karamazov Brothers filmed by Yuri Moroz in 2009. This summer at the Newberry, please join me to read and discuss Fyodor Dostoevsky’s Crime and Punishment. We will focus on close textual analysis of the novel, supplemented by biographical, historical, and critical information related to the novel that I will present at each meeting. During the sessions, several short episodes (not longer than 10 – 15 minutes each) will be shown from two Russian movie adaptations of Crime and Punishment filmed by Lev Kulidzhanov in 1970 and Dmitry Svetozarov in 2007. We will read Oliver Ready’s outstanding and highly acclaimed new translation. Most Crime and Punishment translations are either too tame and polished, or they are too close to the Russian and broken by jarring literalisms, making Dostoevsky’s peculiarities of style even weirder. Ready’s translation is the closest to Dostoevsky’s style, bringing the vitality and humor of the original and capturing the novel’s unique sense of unreality, uncertainty, and indecision, where dreams and waking life switch places without notice. I will offer comparisons of the various translations by Constance Garnett, David McDuff, Pevear-Volokhonsky, and Oliver Ready and the Russian text. I hope to convey to participants some of the pleasures of the original Russian version of Crime and Punishment that are inevitably lost in any translation. We will look closely, for example, at the meaning of the Russian word “prestuplenie,” which is literally “stepping over” and means “crime,” as well as the speaking names of the characters. I will also introduce Dostoevsky’s notebooks for Crime and Punishment, which will provide a coherent account of the novel’s complex evolution. We will examine the polyphonic quality of Dostoevsky’s art: the presence in his texts of persistent “other voices” generated by the narrator, frequent inner dialogue, a stream of literary quotations, and allusions. We will pay particular attention to the connection between Raskolnikov and the city of St. Petersburg. To Dostoevsky, St. Petersburg seemed “the most intentional and abstract city.” Disarming the reader with a seemingly exact and faithful topography, he freely moves houses, changes owners, displaces streets, and adds floors. He thus succeeds in creating a complex image of the city as a character in its own right; it serves not only as backdrop scenery for the unfolding action, but as an active participant capable of influencing the course of events. The squalid Haymarket area serves as background to the thoughts and actions of Raskolnikov. We will examine how Raskolnikov’s Napoleonic aspirations are linked to his vision of a new, reordered St. Petersburg, a city reconstructed by Napoleon III and Haussman. As we discuss Crime and Punishment, we will consider why we still read Dostoevsky. Why do Dostoevsky’s characters both attract and repel the reader? How does Dostoevsky’s novel with its multitude of minor characters and subplots encompass antagonistic philosophies and value systems? Is Crime and Punishment a Christian novel? What is the real motivation for Raskolnikov’s crime – the search for which provides greater suspense than a search for a criminal in a conventional murder mystery? Why is Raskolnikov not running away from the crime but moving towards it? How does Dostoevsky force the reader into empathy for a brutal and bloody murderer for the first time in literature? Is the Epilogue necessary – although it is often disregarded by critics? We will compare two different successful cinematic adaptations of Dostoevsky’s novel. While both film versions conform to the text and respect the writer, they creatively interpret the original differently. The 1970 film features some of the best Soviet actors of the time, including Georgy Taratorkin as Raskolnikov and Innokenty Smoktunovsky as Porfiry Petrovich, and it retains Dostoevsky’s epilogue. The 2007 version is known for its minimalism and visual restraint and aspires to authenticity – particularly in its depiction of Dostoevsky’s Petersburg, its color scheme, and casting the actors who resemble Dostoevsky’s descriptions. Svetozarov chose to omit Dostoevsky’s epilogue, making this adaptation an interpretation of the novel, rather than a mere illustration. In this seminar, we will explore the origin and development one of the most popular figures in Russian fairy tales, Baba Yaga. We will delve into the Baba Yaga tales along with the beliefs, worldviews, and related myths and legends of both ancient Slavic pagan and more recent Eastern Orthodox Church traditions. Turning to present day literature, we will read Dubravka Ugresic’s intellectually rewarding 2008 book Baba Yaga Laid an Egg. We will focus on close textual analysis of Baba Yaga tales and Ugresic’s book over a period of five sessions, supplemented by historical and critical information related to Baba Yaga that I will present at the beginning of each meeting. During the sessions, several short episodes (not longer than 10 – 15 minutes each) will be shown from the Russian movies Through Fire, Water, and Brass Pipes (Alexander Rou, 1969), Vassilisa the Beautiful (Alexander Rou, 1939), The Golden Horns (Alexander Rou, 1972) and a variety of Russian short animated films which are based on Baba Yaga fairy tales and expand the Baba Yaga canon. In addition, I am happy to announce that the Newberry has arranged for our class to see Jessica Oreck’s 2014 documentary The Vanquishing of the Witch Baba Yaga. Baba Yaga is one of the most memorable and distinctive figures in eastern European folklore. She is of grotesque appearance, with lank greasy hair, a long nose, and one leg made of stone. Baba Yaga lives in a hut that stands and turns on chicken’s legs deep in the forest. Her bulk fills up her hut when she is at home, and, when out of it, she flies around in a mortar made of iron, which she steers with a pestle. Though Baba Yaga is frequently called a witch, the word “witch” does not describe Baba Yaga’s complexity and richness. When compared to similar figures from other folklore traditions, Baba Yaga’s particular combination of traits and functions makes her a unique and truly national Russian folklore figure. Perhaps the most intriguing feature of Baba Yaga is her striking ambiguity. Baba Yaga sometimes acts as a donor who is helpful and gives a hero or a heroine a magic agent, and sometimes as a villain, who harms or seeks to harm the protagonist. She could be a very hostile donor, or a donor and a villain in the same tale (for example, giving the hero magic gifts with which he defeats an enemy army, but turning his bride into a duck and forcing him to marry her own daughter). Our examination of Baba Yaga will begin with a survey of theories and interpretations that have been proposed to explain Baba Yaga’s name, image, and her unique nature, attempting to reconstruct her origin and historical development while examining her in psychological terms. The first work on Baba Yaga appeared in 1755, and the earliest interpretations defined her as a Slavic pagan goddess. We will discuss the connection between Russian traditional rituals of childbirth, marriage, funeral, and death, and the dual nature of Baba Yaga, who mediates the boundary of death so that the living could cross it and return, gaining new wisdom or reborn to a higher status. Baba Yaga appears in more than 500 Russian fairy tales. We will explore all types of these tales to determine whether her positive or negative aspects dominate. We’ll discuss Baba Yaga’s appearance, attributes, functions and their meaning throughout the seminar. Also, we’ll talk about Baba Yaga as a product of tradition as well as her transformation in popular culture. Many Baba Yaga tales influenced Russian literary tradition (Pushkin, Gogol, Tolstoy, and Dostoevsky), art (Vasnetsov, Bilibin, Kandinsky, and Chagall), as well as classical works of Russian opera, ballet, and music (Rimsky-Korsakov, Tchaikovsky, Glinka, Mussorgsky, and Stravinsky). Particular attention will be paid to film, animations, contemporary illustrations, and toys. The fairy tales will be examined along with Baba Yaga Laid an Egg, a highly inventive book by Dubravka Ugresic, one of the most original and gifted modern writers from Croatia. Baba Yaga Laid an Egg is a volume in Canongate’s series of revisionist myths. Here Baba Yaga hovers off stage and directs the action. The book is a hybrid work that combines autobiography, travel, memoir, fable, fiction, satire, critical commentary, and essay. Ugresic is one of the best-known writers of the former Yugoslavia, but before achieving her current international success, she became a specialist in Russian literature and culture. Ugresic re-imagines and re-interprets the traditional Baba Yaga myth as a paradigm for old women and their potential power. We’ll discuss the differences and similarities between the Russian Baba Yaga and her Slavic and other Western sister-witches. How are the female fairy tale characters constructed? What makes Baba Yaga an ambiguous figure? Why does Baba Yaga continue to move our imagination today? What does Baba Yaga offer to modern artists, composers, film directors, and writers, and why is she so popular? What can the ways we perceive Baba Yaga in fairy tales teach us about ourselves? As a native Russian, I enjoy sharing my perspective on the original Russian versions of tales. We will look closely, for example, at the translation of the names of major fairy tale characters, including Baba Yaga. She is described by a rhyming epithet “Baba Yaga Bony Leg” (Baba Yaga kostianaia noga), and many of the traditional phrases used to describe Baba Yaga display rhyme and rhythm, which makes them easier to memorize and contributes to the stylistic color of the fairy tales. It was Ivan Turgenev – not Fyodor Dostoevsky or Leo Tolstoy – who stood at the pinnacle of Russian literature in the 19th century and the beginning of the 20th century. This fall at the Newberry, we will read and discuss a variety of first-rate works by Ivan Turgenev, including the novels Rudin, A Nest of Gentry, and Fathers and Sons; two novellas First Love and Spring Torrents; short stories from A Sportsman’s Sketches, as well as “A Journey to Polesje,” “The Diary of a Superfluous Man,” and “Clara Milich;” the essay “Hamlet and Don Quixote”; and some of his letters and poems in prose. We will focus on close textual analysis of Turgenev’s fiction over a period of ten meetings, supplemented by biographical, historical, and critical information related to Turgenev’s writings that I will introduce at beginning of each session. During the sessions, we will watch several short episodes (not longer than 10 – 15 minutes each) from the movies Rudin (1977), A Nest of Gentry (1969), Fathers and Sons (2008), After the Death (1915), and Torrents of Spring (1989). Why was Turgenev seen as Russian literature’s emblematic figure at the time? He was the most civilized and cosmopolitan of the Russian writers of his generation – a superb stylist with a command of the Russian language that was the envy of his contemporaries – and his work was admired by Henry James and Flaubert. Why is Turgenev not as well known and widely read in our time as Dostoevsky and Tolstoy? We will perhaps answer these questions in unexpected ways as we explore his insights into the psychological nature of his poetics and his consistent use of artistic devices to construct narratives deeply rooted in his psychology and philosophy of life. We will discuss why Turgenev, who is considered a realist, was drawn towards symbolism and the supernatural in his later works. We will examine how major political issues of 19th century Russia were central to his fiction, though he stood aloof from politics. We will take a close look at Turgenev’s representation of space and time, use of language, techniques of narration, and modes of characterization. Drawing upon my Russian background, I hope to share some of the pleasures of the original Russian versions of Turgenev’s works that are inevitably lost in translation. We will look closely, for example, at the translation of the title Fathers and Sons – the Russian version is Fathers and Children, which is more inclusive and emphasizes generations rather than gender. Russian fairy tales begin not with “Once upon a time,” but with Zhili, byli, “There once lived, there once was/were…” These words carry the reader into the enchanted thrice tenth kingdom, the domain of Baga Yaga, Koshchey the Deathless, and the grey wolf. Russian fairy tales reveal a great deal about Russian traditions and history. Taking an analytical approach, we will examine not only the tales, but also the beliefs, worldviews, and related myths and legends in both ancient Slavic pagan and more recent Eastern Orthodox Church traditions. We will discuss the great influence the tales have had and continue to have on Russian literature, art, music, opera, ballet, and animated and non-animated film. During our sessions, several short episodes (not longer than 10 – 15 minutes each) will be shown from the Russian movies Andrei Rublev (Andrei Tarkovsky, 1973), Shadows of Forgotten Ancestors (Sergei Parajanov, 1967), and a variety of Russian short animated films based on fairy tales. While many people know about the compilations of classic tales by the brothers Grimm in Germany, Andrew Lang in Britain, or Charles Perrault in France, fewer readers of folk and fairy tales are familiar with the works assembled by Alexander Afanasiev (1826 – 1871) in Russia. Much of Russia relied on the oral tradition until the 20th century, and the total number of Russian tales is one of the largest in Western literature. Afanasiev alone assembled over 600 tales in his multi-volume collection in the 1860s. We will situate the folk fairy tales, collected and transcribed from the narratives of the gatekeepers of oral traditions, alongside literary explorations of magical and supernatural themes by Alexander Pushkin, Nikolai Gogol, Alexander Ostrovsky, and the contemporary Russian writer Tatiana Tolstaya. Some of these tales re-imagine the traditional tales from the oral tradition, while others create completely original works, complete with new characters and situations, but based on the conventions of the genre. During our group discussions, we will take a broad spectrum of provocative approaches to the study of fairy tales, including anthropology, ethnolinguistics, stylistics, sociology, psychology, structuralism, and feminism. While primarily focusing on the origin and original meaning of the Russian fairy tales, these approaches will offer readers different lenses through which the tales might be understood and enjoyed. We will revisit and reassess familiar Western fairy tales and the films based upon them. We will address these questions: What is a fairy tale? Why are fairy tales so pleasing? How are the female characters constructed? What is the structure and meaning of fairy tales? Were they always intended for children? What do they offer to modern artists, composers, film directors, and writers? What can we learn from them? What can the ways we read fairy tales teach us about ourselves? By the end of the seminar, you will be able to identify the major elements of Russian folk beliefs, including symbolic meanings and the underlying Russian pagan and Christian customs and rituals; to differentiate between the major elements of Russian and Western beliefs; to identify the structure of the fairy tale and to classify tales by type and content; to identify the elements common to all fairy tales; to discuss the intent of the fairy tales in the past and present; to analyze the role of gender and symbols (forest, fire, water, animals, numbers, color, etc.) in the fairy tales; to identify the social, economic, and psychological context of fairy tales; and to discuss the transition from traditional folklore to modern literary tales, as well as their representation in music, art, and film. This spring at the Newberry we will read a great 19th century Russian novel beloved in Russia and not as well-known in the West: The Golovlyov Family (1872-1876) by Mikhail Saltykov (1826-1889), who used the pen name Shchedrin. We will also read his satirical tales, which present an excellent commentary on the historical reality of his time while going beyond any specific chronotope to expose hypocrisy, greed, and treachery. We will focus on close textual analysis of Shchedrin’s novel and tales over a period of four sessions, supplemented by biographical, historical, and critical information that I will introduce at each meeting. During the sessions, several short episodes (not longer than 10 – 15 minutes each) will be shown from the Russian movie The Golovlyov Family (2010). I will also introduce Shchedrin as the author – as well as publisher – of the vicious, satirical history of Russia, The History of a Town. Shchedrin is less well known to the general reading public – though he has always been widely read in Russia. During a literary career that spanned four decades (from the 1840s to the 1880s) he was a dominant figure on the Russian literary scene. He was primarily a journalist and a satirist whose main concerns were to describe and reflect on the contemporary events in Russia in a period of crisis caused by social change, reform, and counter-reform. Maxim Gorky remarked that it was impossible to understand the history of Russia in the second half of the 19th century without knowledge of Shchedrin’s works. Another Russian novelist, Ivan Turgenev, observed that Saltykov-Shchedrin “knew Russia better than any living man.” It is true: of all the great 19th century writers, Shchedrin was the only one who held high government positions in the provinces, and his assessment of his country’s condition was as incisive as his knowledge of it was broad. The Golovlyov Family will be discussed in the context of its place within the Russian literary tradition of the family novel. By the 1870s, the Russian family novel turned from the sympathetic accounts of “gentry nests” in Turgenev’s early novels and Tolstoy’s War and Peace to the instability of family life (Tolstoy’s Anna Karenina) and the moral dissolution of the family (Dostoevsky’s The Brothers Karamazov). The Golovlyov Family, written at the same time, offers the starkest example of this new family novel. It is a story of degeneration and decline of three generations of Golovlyovs and a chronotope of the family extinction. Does the disintegration of the family in the novel indicate the degenerated state of the gentry class? How does Shchedrin relate major reforms of the time, including the emancipation of the serfs, to the nature of the provincial nobility? We will examine the Golovlyovs’ lack of moral substance that leads to their incapability of any useful activity, high ideals, or aspirations. We will pay particular attention to Porphyry Golovlyov, nicknamed “Little Judas,” one of the most memorable monsters and indefatigable schemers in world literature, who preys on everyone who comes near him. We will compare Porphyry with Tartuffe: instead of pretending to lead a normal life while playing a seducer when no one watches, Porphyry, a Russian hypocrite, thrives on the absence of fundamental moral principles. We will see how the novel that begins as an investigation of the family as a social institution turns into a psychological novel that focuses on the individual. We will analyze a series of conversational duels between the main characters where they try to manipulate each other, emphasizing Shchedrin’s ability to bring individual, genuine flavor to the characters’ speech. Shchedrin wrote several satirical tales in the last years of his life, each one a literary gem. Allegories with a keen point, felt already in titles such as “Bears in Government,” “The Idealistic Crucian,” and “The Eagle – Patron of Arts,” the tales are based on concrete historical reality yet convey bitter truths that go beyond the limits of a specific time period. Shchedrin has a deadly eye for all forms of corruption, which he exposed with all the power of his literary talent. In The Golovlyov Family and his tales, Shchedrin shows a serious moral and humane concern for the betterment of men as individuals and social beings, and this humane feeling underlines the grim content of his works. Drawing upon my Russian background, I will share with you some of the pleasures of the original Russian versions of The Golovlyov Family and Shchedrin’s satirical tales that are inevitably lost in any translation. We will look closely, for example, at the translation of the title of the novel that has been variously rendered by different translators as The Golovlyovs, The Golovlyov Family, A Family of Noblemen, and The Masters of Golovlyovo. The Russian word “gospoda” in the title is used together with the last name to mean both “misters and madams,” as well as “masters” in relation to the subordinates, adding an ironic nuance. This fall at The Newberry we will read and discuss The Gambler (1866), a short novel that provides a psychological portrait of addiction, and The Idiot (1868), generally considered to be the most mysterious and confusing of Dostoevsky’s four major novels. The seminar is designed for anyone with an interest in Russian literature – first-time readers and long-time fans alike. Why do we still read Dostoevsky and why should we continue to read him if his fiction is so ambiguous? How do Dostoevsky’s sprawling novels, with their multitude of minor characters and subplots, encompass antagonistic philosophies and value systems? I believe that Dostoevsky’s fiction captures the fluidity and instability of existence as experienced by most in any age. I look forward to lively discussions as we focus on close textual analysis of Dostoevsky’s two novels over a period of nine sessions, supplemented by biographical, historical, and critical information to be introduced at each meeting. During the sessions, several short episodes (not longer than 10 – 15 minutes each) will be shown from the movies The Gambler by Károly Makk (1997) and two Russian versions of The Idiot filmed by Batalov in 1972 and Bortko in 2003. During our last (tenth) meeting, several longer episodes will be shown from Akira Kurosawa’s famous movie The Idiot (1951). Kurosawa’s film connects the main themes and ideas discussed throughout the seminar, and we’ll devote much of our final session to discussing literary film adaptations. What is gambling for Dostoevsky: a symbol of evil or a form of protest against European materialism? Is The Idiot just a Christian novel? The themes of money and love as a commodity to be bought at a price that depends on appearances are significant leitmotifs for both The Gambler and The Idiot. Reading and discussing The Gambler first will help participants understand the time Dostoevsky spent abroad frequenting the roulette tables and working on The Idiot at the same time. We will examine the polyphonic quality of Dostoevsky’s art: the presence in his texts of persistent “other voices,” generated by an ironic narrator; frequent inner dialogue; a stream of literary quotations; and allusions. We’ll pay particular attention to Prince Myshkin, The Idiot’s Christ-like character placed in a secular, thoroughly modern, urban world. Despite Dostoevsky’s stated intention of producing a novel about a “positively beautiful man,” The Idiot ends with fewer hints of spiritual regeneration or a possibility for a new life than his other novels. We will attempt to integrate structural considerations with ethical and aesthetic aspects by focusing on the interactions of the characters. These interactions reveal a variety of issues about religious faith and philosophical world views. Literary adaptations make efforts to restructure the main concepts of the novels and interpret them at the same time. Cinema keeps turning to literature, and in this seminar we will explore four different adaptations of Dostoevsky’s novels. The Gambler adaptation is aggressive toward the original text, concentrating on sensational elements, such as jealousy, love, and the roulette, intentionally violating the original text and adding Dostoevsky and his wife as main characters. The 1972 and 2003 Russian adaptations of The Idiot are closer in nature to illustration, conforming to the text and respecting the writer. The third type of adaptation is a creative interpretation of the author’s style and conception of the original achieved through cinematic means. Akira Kurosawa’s The Idiot (1951), one of the most daring and stylish productions of his career, updates Dostoevsky’s themes to capture Japan’s postwar aimlessness, and tells a story of a wayward, pure soul’s reintegration into society. The film presents its characters as victims of war and its devastating emotional aftershocks. Using my Russian background, I hope to provide participants with unique insights into some of the pleasures of the original Russian versions of The Gambler and The Idiot that are inevitably lost in any translation. For example, the translation of the title The Gambler means both ‘a player of games’ and ‘a gambler’ in Russian. I will share pertinent information from two in-depth studies on Dostoevsky that I conducted in Petersburg, Russia during the summers of 2007 and 2013. I will also introduce Dostoevsky’s notebooks for The Idiot, which provide a coherent account of the novel’s complex evolution. What is the nature of Dostoevsky’s art and how did it evolve from his early fiction to his mature works of the 1860s and 1870s? Join me this summer at The Newberry to discuss Fyodor Dostoevsky’s short fiction, including Poor Folk (1845), The Double (1846), White Nights (1848), A Disgraceful Affair (1862), “A Crocodile” (1864), Notes from the Underground (1864), The Eternal Husband (1870), and A Gentle Creature (1876). We will focus on close textual analysis of Dostoevsky’s fiction over a period of 8 sessions, supplemented by biographical, historical, and critical information that I will introduce at each meeting. I am excited to share pertinent points from in-depth, on-site research into Dostoevsky’s life and work, which I conducted during the summers of 2007 and 2013 in St. Petersburg. During the sessions, several short episodes (not longer than 10 – 15 minutes each) will be shown from the movies Partner (1968), directed by Bernardo Bertolucci (based on The Double); White Nights (1961), directed by Luchino Visconti; Notes from Underground (1998), directed by Gary Walkow; and A Gentle Woman (1969), directed by Robert Bresson. We will follow the development of Dostoevsky’s literary method through his mastery of the psychology of human nature. Already, in his very first novel Poor Folk, Dostoevsky’s account of poverty and inequality is secondary to his analysis of the inner complexity of the individual who fails to escape the imaginary. An inward focus is even more evident in The Double. 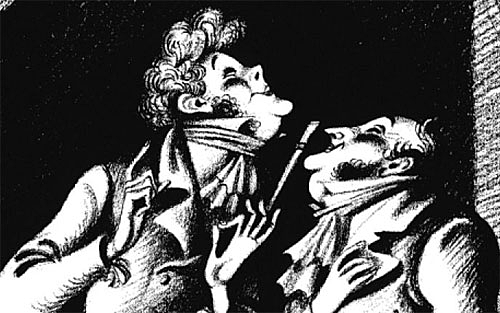 The confusion of experience and hallucination, a literary device which he introduced in the 1840s, features prominently in The Double and in later works. Notes from Underground sums up many of the ideas and images that Dostoevsky developed during the previous two decades. Its anti-hero (as Dostoevsky calls him) reflects on the relationship between free will and determinism; irrationalism and materialism; and the idea that human imperfection is a law of nature and the cause of human suffering. Notes from Underground is often seen as Dostoevsky’s major philosophical achievement and a prelude to his longer novels, but we will see that the novel includes several superb anecdotes. Dostoevsky’s gift for satire and comedy is revealed in A Disgraceful Affair and “A Crocodile.” White Nights, The Eternal Husband, and A Gentle Creature richly illustrate Dostoevsky’s shifting attitude towards love, depicted with uncanny subtlety. The writer sees sexual love interwoven with a power play in which one partner seeks to gain superiority over the other. Petersburg is the most obvious constant in Dostoevsky’s work; it is the setting for his first novel and most of his fiction. Petersburg seemed to Dostoevsky “the most intentional and abstract city.” We will examine how Dostoevsky depicts the interaction between a person and the city, describing everything in minute detail, brilliantly connecting fiction and reality. Disarming the reader with a seemingly exact and faithful topography, he freely moves houses, changes owners, displaces streets, and adds floors. He thus succeeds in creating a complex image of the city as a character in its own right; it serves not only as background scenery for the unfolding action, but as an active participant capable of influencing the course of events. The writer’s vision of a fantastic city, a ghost-city, a phantom-city, becomes the best illustration of his novels. This spring we will read Tom Stoppard’s The Coast of Utopia (2002) in conjunction with Isaiah Berlin’s brilliant collection of essays Russian Thinkers (1848 – 1878). We will enjoy lively group discussion as we focus on close textual analysis of The Coast of Utopia and several essays from Russian Thinkers. I will introduce pertinent biographical, historical, and critical information related to the plays and essays at each meeting. Constituting three plays (Voyage, Shipwreck, and Salvage), The Coast of Utopia is set in mid-19th century Russia and spans more than 30 years. In his three linked plays about pre-revolutionary intellectual life in Russia (which requires at least thirty actors and nine hours), Tom Stoppard covers the politics, the literature, and the tangled personal relationships of a group of mid-19th century thinkers for whom the word “intelligentsia” was coined and whose heady debates about Russia’s moral, intellectual, and political vacuum sowed the seeds of revolution both in the Russian Empire and far beyond its borders. Four major historical figures featured in the plays are the essayist Alexander Herzen (1812-70), whom Isaiah Berlin called “a kind of Russian Voltaire,” the equal of Marx and Tocqueville as a social observer but as a moralist “more interesting and original than either”; the novelist Ivan Turgenev (1818-83); the brilliant literary critic Vissarion Belinsky (1811-48); and the anarchist Mikhail Bakunin (1814-76). Tom Stoppard acknowledges that Isaiah Berlin’s Russian Thinkers “was my entry to the world of The Coast of Utopia” and that Berlin was the author “without whom I could not have written these plays.” Berlin presents Herzen, Belinsky, Bakunin, and Turgenev with great understanding and sympathy, sketching their characters, explaining the evolution of their beliefs, discussing the place their ideas occupied in their own time and their influence afterward. Exploring the essays while reading the plays will allow us to understand the historical allusions, to place Stoppard’s main radical characters among other Russian and European influential thinkers of the time, and to evaluate their legacy. I will introduce several other sources used by Stoppard while working on The Coast of Utopia: The Romantic Exiles by the British historian E. H. Carr, an almost novelistic treatment of the lives of Herzen, his close friend Nikolai Ogaryov, and Bakunin; Belinsky’s literary criticism; Pyotr Chaadaev’s Philosophical Letters; Turgenev’s sketches and excerpts from his novels; Herzen’s beautifully-written and witty memoir My Past and Thoughts, an account of his childhood on a vast country estate, his student days at Moscow University, his exile, and his life abroad as a political agitator and philosopher; Herzen’s famous essays “From the Other Shore” and “The Russian People and Socialism”; and Pavel Annenkov’s memoir Extraordinary Decade, which captures the flavor of the period and gives memorable sketches of Herzen, Belinsky, Gogol, Turgenev, and Bakunin. Finally, I would like to explore these important questions with our group: why does Stoppard turn to the 19th century Russia under Nicholas I and Alexander II and a group of intellectual thinkers who dream of a changed Russia? How do the individual plays form a series? What is the meaning of Herzen’s description of history as an endless maze in which each gate leads to an infinite series of gates? Why do we still read Dostoevsky? We will address this question as we read and discuss The Devils (1872), the most openly political of Fyodor Dostoyevsky’s works, in conjunction with J.M. Cotzee’s novel The Master of Petersburg (1994). The Master of Petersburg is based on “At Tikhon’s,” a chapter written by Dostoevsky for The Devils but suppressed by his editor Katkov. We will focus on close textual analysis of the two novels during ten sessions, supplemented by biographical, historical, and critical information that I will introduce at each meeting. All are welcome, from the first-time reader of Russian literature to the those who have well-worn copies of Dostoevsky’s novels and short stories in their home libraries. I anticipate lively group discussions! You can register here. In addition to the customary supplemental information, I will introduce Dostoevsky’s notebooks for The Devils to provide a coherent account of the novel’s complex evolution. I conducted a month-long, on-site study of Dostoevsky in Petersburg, Russia in the summer of 2007, and I look forward to sharing the high points during our discussions. I will draw upon my Russian background to convey some of the pleasures of the original Russian version of The Devils that are inevitably altered by translation. For instance, the title of the novel is known by several names, including The Possessed and The Demons. How does the choice of The Devils, The Demons, or The Possessed influence the reading of the novel? Is The Devils only a pamphlet against Russian radicals and terrorists? How do we link J.M. Coetzee’s postmodernist The Master of Petersburg to Dostoevsky’s most political, philosophically, and narratively sophisticated novels? Dostoevsky’s fiction captures the fluidity and instability of existence as experienced by people in any era. Although the The Devils is often regarded as Dostoevsky’s ill-tempered departure into political satire, I propose that in fact it was a natural and significant stage in the organic process of his spiritual, ideological, and artistic evolution. After we learn more about the revolutionary movement in Russia from the 1840s to 1870s, we will be able to discern Dostoevsky’s biting indictment of socialism and the revolutionary movement as a manifestation of the moral cynicism of secular culture. Ivan Turgenev was the first writer to use the term “nihilism” in his novel Fathers and Sons (1862) where he offered a penetrating portrait of the new generation of radicals of the 1860s. Dostoevsky combined the real-life actions of nihilist Sergei Nechaev in 1869-1870, the student uprisings and terrorist attacks of that time, and his own beliefs to create the central plot of The Devils. The novel employs a tricky literary structure, veering back and forth between first and third person. Dostoevsky uses the device of a chronicler, who is both a character in the novel and a special version of an authorial mode whose trustworthiness is compromised by his closeness to the action and his intellectual limitations. We will return to Nechaev and Dostoevsky in a different context – as the main characters in J.M. Coetzee’s novel of ideas The Master of Petersburg. Coetzee is a Nobel Prize winner in literature and a literary scholar who wrote extensively on Dostoevsky. In this complex fiction, he draws on the life of Dostoevsky, the history of Russia, and the death of his own son at 23. Exploring Dostoevsky’s identity as a writer and the sinister atmosphere in Petersburg in the 1870s, J.M. Coetzee links language and power, producing a dense and courageous meditation on authority and rebellion, art and imagination. Designed for everyone with an interest in Soviet literature and history, our seminar will examine the Soviet cultural and social experiments after the Bolshevik revolution through the lens of three short novels and one movie created between 1921 and 1929. We will emphasize group discussion, focusing on close textual analysis of Bulgakov’s White Guard, Zamyatin’s We, and Olesha’s Envy. I will introduce biographical, historical, and critical information related to the novels at each meeting. During our last meeting, we will view several episodes from Dziga Vertov’s documentary film Man with a Movie Camera, connecting the main themes and post-revolutionary ideas we’ve discussed throughout the seminar. I chose these four Soviet masterpieces because, being experimental in their structure and subject matter, they provide graphic illustrations of a utopian vision and its development into post-revolutionary experiences in the Soviet Union. The 1920s was a period of tremendous literary diversity. Despite the gradually increasing attempts of the Communist party – from about 1925 on – to assert control over literature and cinema, some hope remained that writers might continue to retain a certain freedom. In each case we will observe how matters of style went hand in hand with the attempts to change the world. All four works convey the ideas of utopian thinking after the revolution; artists’ responses to and participation in the political, social, scientific, and cultural experimentation of their time; and the survival of creative expression in the midst of unimaginable hardships. How do artists respond to and shape historical events? How did writers in the early 20th century Russia transmute fear, violence, and chaos into art? How do utopian ideas and dreams transform into reality? We will start our seminar with Mikhail Bulgakov’s first novel White Guard (1925), which plunges its readers into the chaos of Civil War in 1918 and 1919 in Kiev. Bulgakov shows events as seen through the eyes of Russian intellectuals and contrasts the cruelty and violence of the time with individual acts of humanity and the values of civilization, culture, and family. Zamyatin’s We (1921) is the first modernist novel in Russia, and was published in the Soviet Union for the first time in 1988. It is set in a future society run on mathematical principles where reason and logic are dominant. Before composing his dystopia, Zamyatin wrote that “life in big cities is like that in factories: it de-individualizes, makes people somehow all the same, machine-like.” We will examine how Zamyatin shows that the powerful machine fantasy, which was seizing the revolutionary writers, turned human beings into digits. Yury Olesha’s Envy (1927) is a humorous look at the individual’s struggle with an increasingly industrialized society. Vladimir Nabokov considered Envy to be the best novel written in Soviet Russia. We will analyze together the difficult modernist features of this novel, including its shifting narrators and fluid boundaries between dream and reality. We will finish the seminar with Dziga Vertov and his documentary Man with a Movie Camera (1929), an experimental silent film with no story, no intertitles, and no actors. Vertov was a true radical who believed that the Russian Revolution was merely an aspect of the renewal of everything in human life. He rejected literature, plays, and acting, and believed that documentaries were the only acceptable form of film-making in the proletarian era. The film will help us to visualize the revolutionary utopian visions and the actual life experiments in the 1920s in Soviet Russia. I will draw upon my Russian background to offer our group a unique opportunity to appreciate some of the pleasures of the original Russian versions of the novels that are inevitably lost in any translation. We will look closely, for example, at the semantics of the Soviet neologisms and abbreviations used so freely in 1920s to discover that they may have different meanings and connotations. This seminar is to designed for all interested readers regardless of previous exposure to Russian literature. It is my goal to help the participants understand and enjoy Tolstoy’s family novels. The seminar will emphasize group discussion and close textual analysis of Family Happiness and Anna Karenina over a period of ten meetings. I will supplement the texts with biographical, historical, and critical information related to the novels. During the sessions, several short episodes (not longer than 10 – 15 minutes each) will be shown from the Russian movie adaptation of Anna Karenina directed by Alexander Zarkhi and starring Tatiana Samoilova (1967). We will start with Tolstoy’s early short novel Family Happiness, a work written in 1859 when Tolstoy settled on his family estate at Yasnaya Polyana and began thinking about marriage and a family. Family Happiness contains admirable writing and Tolstoy’s shrewd observations; but it also possesses a certain awkwardness, for Tolstoy was at his best when he knew things intimately before he settled down to write about them. Still, this short novel demonstrates how Tolstoy contrasts the idealized poetry of his heroine in the first part with the sober reality of life after marriage, turning to the themes of uneasiness and guilt that will be further developed in Anna Karenina and his later long stories. Tolstoy’s Anna Karenina is truly a masterpiece, and his heroine perhaps the most vital and intensely romantic woman in Western literature. Tolstoy is above all a stern moralist, profoundly concerned with the values of late 19th century Russian society as he struggles to discover what constitutes the good life and to understand why there is such a difference between the way we live and the way we ought to live. We will discuss the novel’s place in Tolstoy’s life and works while examining the historical, social, philosophical, and literary concerns in Russia at the time, including the “women’s question”, gender roles, dysfunction in the family, social hypocrisy and constriction of individual self-expression and fulfillment, the impact of the railroad, industrialization and urbanization, the role of agriculture in the Russian economy, the peasants in post-emancipation Russia, and especially the role of the family on the path to human happiness. Together we will examine how the theme that had deeply concerned Tolstoy in War and Peace — the function of moral responsibility — encompasses the whole action of Anna Karenina. The discussions will include a close look at the simplicity and lucidity of Tolstoy’s writing. One of the devices he uses is the repetition of some details that characterize a particular person best. Tolstoy is a master of contrasts: we will compare not just episodes from Anna Karenina, but the formal life in St. Petersburg and the relaxed lifestyle in Moscow, as well life in the countryside versus city life. The central alternating contrast, of course, is the love story of Anna and Vronsky with that of Kitty and Levin. I will draw upon my Russian background to provide the participants with a unique chance to appreciate some of the pleasures of the original Russian versions of Family Happiness and Anna Karenina that are inevitably lost in any translation. We will look closely, for example, at the semantics and pronunciation of the Russian names (frequently anglicized, jarring the Russian text) and their diminutives — used by Tolstoy with great care — to discover that they may have different meanings and connotations. In a letter to a critic who failed to discern the novel’s architecture, Tolstoy wrote, “I’m proud of the architecture — the arches have been built in such a way that it is impossible to discover the keystone. That is what I most of all wished to achieve. The structural connection is not the plot or the relationship of the characters (friendship), but an inner link.” This link connects the opposing situations of Anna’s tragic experience of marriage with the relatively happy union of Kitty and Levin. The whole novel can be viewed as a labyrinth of linkages. During our last few sessions, the participants will be encouraged to discover some of Tolstoy’s linking with a sort of textual scavenger-hunt exercise, finding and connecting in the text particular images, themes, events, and literary devices. The purpose of the seminar is to help participants who do or do not have previous exposure to Russian literature to understand and enjoy Anton Chekhov’s plays as works of literature. The seminar will emphasize group discussion. We will focus on close textual analysis of Chekhov’s plays and one-act vaudevilles over a period of 8 meetings, supplemented by biographical, historical, and critical information related to the plays and introduced at each meeting. During the sessions, several short episodes (not longer than 10 – 15 minutes each) will be shown from the movie adaptations of Chekhov’s plays from The Chekhov Collection (2008). Leo Tolstoy said in one interview that “to evoke a mood, you want a lyric poem. Dramatic forms serve, and ought to serve, quite different aims. In a dramatic form the author ought to deal with some problem that has yet to be solved… But you won’t find anything of the kind in Chekhov.” In this criticism, Tolstoy hit on exactly those features that have made Chekhov’s plays the fundamental works of modern drama. Like lyric poems, they favor mood over plot, and when problems do appear, Chekhov never seems to endorse any solutions. The seminar aims to look at the interaction of Chekhov’s background, his experience of life and his ideas with the poetics of his plays – their themes, imagery, construction, and philosophy – and thus to show the evolution of the playwright. Chekhov’s first successes, written between 1885 and 1903, were one-act farces which show him as a master of comic timing. Reading The Bear, The Proposal, The Celebration, The Wedding, and the monologue The Evils of Tobacco alongside the later plays changes how we see Chekhov and will encourage seminar participants to become more responsive to the comic elements in his major plays. Chekhov’s best plays, Ivanov, The Seagull, Uncle Vanya, Three Sisters, and The Cherry Orchard changed the theater forever. We will examine Chekhov’s major plays from the humanistic point of view: his deep understanding of human psychology, of our place in relation to a social and economic context, of the passage of time, of life, death, and nature. We will explore the greatest controversy attached to Chekhov’s plays: whether the plays are tragic, gloomy, and melancholy or whether they could be called comedies, enabling Chekhov’s tone to remain non-judgmental, detached, and reserved. I will draw upon my Russian background to provide seminar participants with a unique opportunity to appreciate some of the pleasures of the original Russian versions of the works of Chekhov that are inevitably lost in any translation. We will read two excellent new translations of Chekhov’s major plays by Laurence Senelick and Marina Brodskaya, and will compare them against the Russian versions. Such an approach will make it possible for participants to understand the reasons why Chekhov is an unusually difficult playwright to translate. We will discuss the translators’ attempts to put Chekhov’s Russian into modern American idiom and whether the effort to make Chekhov sound more American may lead the translators to word choices that a sensitive ear may find anachronistic. What sounds better: “literacy programs” or “reading rooms”; “homeless man” or “tramp”; “freak” or “crank”? I will introduce the participants to the laboratory of the letters and notebooks of Anton Chekhov that provide a context for his literary, social, and scientific interests and views, and establish a coherent intellectual and emotional portrait of the writer. The purpose of the seminar is to help the participants who do or do not have previous exposure to Russian literature to understand and enjoy Leo Tolstoy’s Childhood, Maxim Gorky’s My Childhood, and Vladimir Nabokov’s Speak, Memory. The seminar will emphasize group discussion. We will focus on close textual analysis of the above works over a period of six meetings, supplemented by biographical, historical, and critical information that I will introduce at each meeting. We will explore how Tolstoy’s view of childhood proposed in a work of fiction in the 1850s became a standard interpretation of childhood in the Russian imagination. In our discussions we will focus on interpreting literary, social, and cultural mechanisms by which the theme of childhood developed in Russia and in the emigration from the 1850s to 1950s. The interpretation of childhood proposed in fiction influenced writers of autobiographies, and, in its turn, the autobiographical tradition enriched the works of fiction. The origin of the Russian conception of childhood can be dated to September 1852 when Tolstoy’s Childhood appeared anonymously in a literary journal. Of course, Russians did experience childhood as a separate phase of life subject to its own laws before 1852. However, those who had had such experiences failed to record and to interpret them in anything more than rudimentary form. Until Tolstoy created Nikolai Irteniev, the Russian child lacked a voice of its own. I will help participants analyze the narrative types of pseudo-autobiographies (or fictional autobiographies) the participants will read. The discussions will include a close look at the relationship between the writer, the narrator, and the protagonist, each having his own voice. The first Russian literary work to attempt to overthrow the gentry’s conception of a happy childhood and to replace it with an entirely new model was Maxim Gorky’s My Childhood (1913). The participants will examine how for Gorky, a difficult and unhappy childhood was the “proper” kind, because he thought that adversity early in life would lead to a desire to change the world for the better. To attack the gentry’s myth more efficiently, Gorky uses the same literary form, the pseudo-autobiography, that Tolstoy had used sixty years earlier. Gorky’s work thus does not merely express the experience of a writer from a different socioeconomic background; it challenges the Russian notion of childhood as such. As the nobility in Russia decayed as a class, a happy childhood was seen as their last possession, a synecdoche for traditional Russia itself. Novels and memoirs written in exile after the Soviet revolution, such as Vladimir Nabokov’s Speak, Memory (1967), continued this tradition, linking a happy childhood to pre-Bolshevik Russian life itself. When Nabokov says, “The nostalgia I have been cherishing all these years is a hypertrophic sense of lost childhood,” he is one of the last and greatest writers in a 100-year-old tradition. I will introduce the participants to other Russian pseudo-autobiographies, such as Sergei Aksakov’s The Childhood Years of Bagrov’s Grandson (1859), Andrei Bely’s Kotik Letaev (1922), and Ivan Bunin’s The Life of Arseniev (1927 – 1930), as well as discuss the comeback of the happy childhood ideal in the Soviet society, thus providing a larger context for the perception of childhood in Russia. The purpose of the seminar is to help the participants who do or do not have previous exposure to this great Russian novel to understand and enjoy War and Peace. The seminar will emphasize group discussion. We will focus on close textual analysis of War and Peace over a period of eleven meetings, supplemented by biographical, historical, and critical information related to the book and introduced by the seminar leader at each meeting. During the sessions, several short episodes (not longer than 10 minutes each) will be shown from the Russian movie War and Peace, a detailed adaptation of the novel directed by Sergei Bondarchuk (Mosfilm, 1968). I will provide the participants with a unique chance to appreciate some of the pleasures of the original Russian version of War and Peace that are inevitably lost in any translation. We will look closely, for example, at the semantics of the Russian and English words for “war” and “peace” to discover that they may have different meanings and connotations. Participants will learn about the Napoleonic wars of 1805 – 1813 and the historical situation in Europe and Russia of that period. At the final meeting, we will analyze Tolstoy’s ideas of the duality of freedom and necessity as presented in the Second Epilogue and other theoretical chapters within War and Peace.